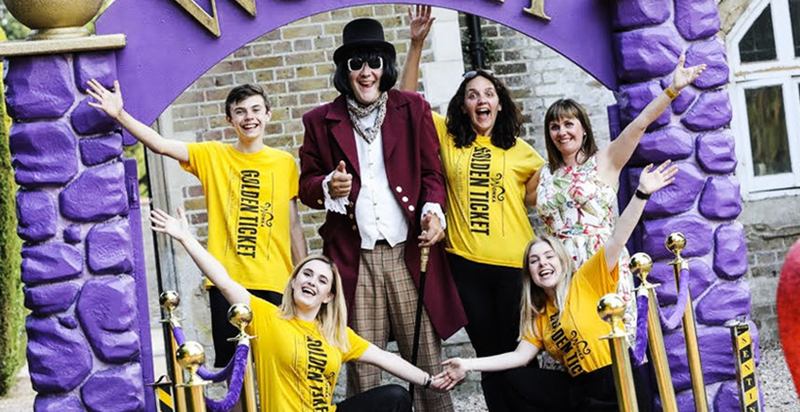 On 26th July, the team at Right Angle Corporate had the pleasure of hosting the most exciting Charlie and the Chocolate factory themed corporate party for 215 valued team members of RCL Cruises Ltd at Oakley Court in Windsor. 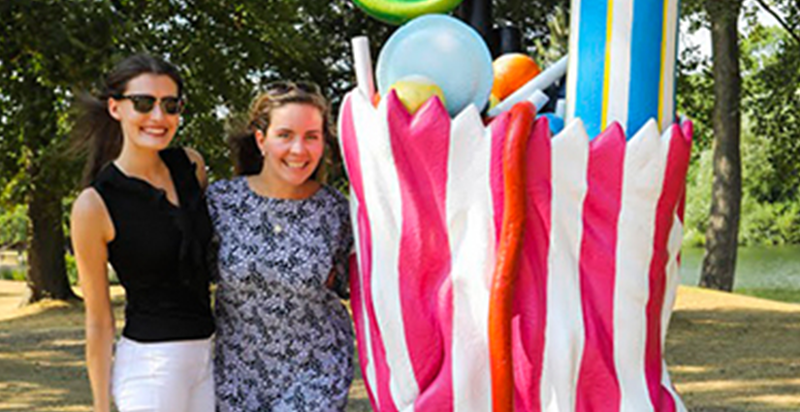 The RCL Cruises Ltd team entered the party through the grand Wonka arch and walked down the gigantic sweet-lined purple carpet where they were greeted by the renowned Willy Wonka. Each guest received a personalised water bottle which contained all the ingredients for their afternoon ahead including a customised wristband, jelly bean competition, Willy Wonka quiz and a golden ticket tally sheet. In true Wonka style, RCL Cruises Ltd team members were offered some sweet treats to keep them going before the evening BBQ. Our beer infused bubbles, Pina Colada and Silly Nilly candy floss and Strawberry Daiquiri fountain also definitely hit the spot. So how many golden tickets could our guests find? This was a challenge like no other and guests really joined into the spirit of the game. Guests had to create a replica photo fit image of one of the 5 selected film characters. To submit their entry, challengers had to tweet their final piece so Willy Wonka could choose the best one and award a prize. Challengers went head to head in this exciting activity to make a smoothie by cycling as fast as they could. The person who finished the smoothie first, won golden tickets to add to their tally. In order to win more golden tickets, RCL Cruise Ltd’s team members faced each other in this fun and competitive challenge where they had to run back and forth to the chocolate fountain with two cups as fast as they could in order to fill up the cylinder. The first one to fill their cylinder with melted chocolate then had to quickly dress up as an Oompa Loompa in order to win the challenge. This challenge provided elements of fun and competition but also tested the guest’s reaction time, hand-eye coordination and stamina through hitting the LED targets as soon as they lit up. Hits and misses were timed and scored and the overall winner won a fantastic prize. RCL Cruises Ltd team members entered the inflatable dome where golden tickets were flying around everywhere at high speed. They had to collect as many golden tickets as they could to add their score to their golden ticket tally. Another way to collect golden tickets was through completing these fun and competitive side stall activities including Tin Can Alley, Cocounut Shy and Hoopla. As a surprise, guests could also search around Wonkaland to find hidden golden tickets with Purple Stickers signifying that they had won one of the 35 amazing spot prizes! The overall crowning winner found a staggering 800+ tickets! Once Willy Wonka had awarded the winners and presented the prizes, guests were handed a pair of headphones ready to party at a silent disco. We had so much fun putting all our creativity and imagination into this bespoke event. From the theme to the activities, everything was fine tuned to the client’s requirements ensuring that this exceeded their expectations. This event was certainly one to remember and goes to show what a truly remarkable team we have here at Right Angle Corporate Events.